The two principal title insurance underwriters are Commonwealth Land Title Insurance Company ("Commonwealth") and Lawyers Title Insurance Corporation ("Lawyers"), as well as United Capital Title Insurance Company ("United"). Fidelity National Financial Inc. is set to become the largest U.S. writer of title insurance, as it closes its acquisition of former LandAmerica Financial Group Inc. subsidiaries Commonwealth Land Title Insurance Co. and Lawyers Title Insurance Corp. The milestones during the week of December 15, 2008, relate to the amended stock purchase agreement with LandAmerica Financial Group, Inc.
Next month, closing on a house or gaining power of attorney with the Davidson County Register of Deeds will take less time thanks to a new remote document filing system - e-recording. The Financial Accounting Standards Board has issued new standards that increase the disclosure requirements that public companies need to make about their financial asset transfers and variable-interest entities. Old Republic has paid cash dividends on its common shares for each of the past 67 years without interruption. The Office of the Comptroller of the Currency (OCC) today published a Community Developments Insights report that describes how banks participate in the Historic Tax Credit (HTC) program which is used to rehabilitate and restore certified historic properties. ePostClosing.com is a new platform that enables lenders and servicers to handle all of their document retrieval, trailing document, lien release and assignment tasks through a single online system. The First American Corp. has a market cap of $2.22 billion. Fannie Mae announced new Single Family Master Trust agreements allowing servicers more flexibility and providing additional loss mitigation options to address potential delinquencies earlier and to help avoid foreclosure for borrowers with loans in MBS pools or in the Fannie Mae portfolio. View the full announcement. The goal - a new customer-segment oriented organizational structure to better meet the needs of customers in today’s changing market conditions. The ratings of FNF and Fidelity have been placed under review as A.M. Best assesses the implications of Fidelity's newly announced plans, which were not previously disclosed to A.M. Best, concerning acquiring four insurance underwriting companies of LandAmerica, following the announcement of LandAmerica's filing for Chapter 11 bankruptcy protection. Stewart Information Services Corp. has said its board declared an annual dividend of 10 cents, down from the prior-year payment of 75 cents. Nevada Land Title Association Adopts American Land Title Association’s "Principles of Fair Conduct"
The American Land Title Association (ALTA) today announced that the Nevada Land Title Association (NLTA), representing title and escrow companies throughout the state on regulatory and legislative matters, has adopted the ALTA Principles of Fair Conduct. Fidelity National Financial, Inc. has agreed with LandAmerica Financial Group, Inc. (”LFG”) to will acquire Commonwealth Land Title Insurance Company and Lawyers Title Insurance Corporation, as well as United Capital Title Insurance Company. A.M. Best Co. has removed from under review with negative implications and affirmed the financial strength rating (FSR) of A (Excellent) and issuer credit ratings (ICR) of "a" of Fidelity National Financial Group (Fidelity) and its eight title insurance members. TI SERVICES LLC., is offering a FREE six-month subscription service to one of their two online resource tools myTitleIns.com or its TRACcalculator. These online services give title companies the ability to provide a Good Faith Title Estimate "GFTE" of their detailed title insurance and closing costs to their customers. MISMO, the not-for-profit data standards subsidiary of the Mortgage Bankers Association (MBA), today released a joint white paper along with the Electronic Signature and Records Association (ESRA) and the American Land Title Association (ALTA), entitled Case Closed: eNotes Are Legal -- An Analysis of eNote Enforceability Nationwide. The white paper addresses the legality of electronically-signed promissory notes, commonly referred to as eNotes, which are central to the eMortgage process. Mitch Creekmore and David Wiesley have joined Stewart to help form a new title services unit, the Multinational Title Services Group, that will specialize in providing title services to companies that routinely purchase and sell commercial real estate in more than one country. ServiceLink provides a comprehensive suite of settlement services for all modification types, from rate resets and payment recasts to complex loan term adjustments. Combined with the $100 million repayment made on November 6, 2008, FNF has now repaid the entire $120 million borrowing made under FNF's credit facility on September 29, 2008. The First American Corporation said earlier this week that it has develop what it believes is the first scoring system to help servicers identify candidates for a government-insured HECMs, who might otherwise face foreclosure. A.M. Best Co. has placed the financial strength rating (FSR) of A (Excellent) and issuer credit ratings (ICR) of "a" of Fidelity National Financial Group (Fidelity) and its eight title insurance members under review with negative implications. LandAmerica Financial Group Inc. lost $599.6 million during the third quarter, laid off nearly 1,000 employees and was in danger of defaulting on its debts, the company said in a regulatory filing that sheds light on the company's motivation for a planned merger with rival Fidelity National Financial Inc.
With an unstable American economy and slowdowns in the housing market, most consumers are open to the federal government taking a more active role in overseeing mortgage and lending practices, according to the 2008 National Housing Pulse Survey, an annual survey released by the NAR. The transaction has been structured to reduce the combined debt of LFG and FNF by approximately $250 million prior to the closing of the merger agreement. The release has been delayed to allow LandAmerica additional time to complete the preparation and review of its financial statements for the third quarter ended September 30, 2008. For the third quarter ended September 30, 2008, the Company reported net income of $917,033, a decrease of 76.2%, compared with net income of $3,857,892 for the same three-month period in 2007. Leading the sales force is industry veteran Len Franco. United General Issued A Fraud Alert on Sovereign Trust of out Tower, Michigan. See Related Documents to read this important alert. FirstAm has issued a fraud alert on three specific addresses. See Related Documents to read this important alert. Revenues in the third quarter of 2008 fell to $395.2 million, a decline of 21.3 percent from the $501.9 million in the same period last year. Fitch Ratings has downgraded the Issuer Default Rating (IDR) of Fidelity National Financial, Inc. to 'BBB' from 'BBB+' and the insurer financial strength (IFS) ratings of its title insurance subsidiaries (please see complete list below) to 'A-' from 'A'. The cash dividend of $0.15 per share will be a 50% reduction from the company's previous quarterly dividend of $0.30. Fitch Ratings has downgraded the Issuer Default Rating (IDR) for Old Republic International Corporation (ORI) to 'A' from 'A+' and affirmed the short-term IDR at 'F1'. Fitch has also downgraded the Insurer Financial Strength (IFS) ratings of Republic Mortgage Insurance. The integration of these two technology platforms provides Flagstar borrowers and Stewart Title's closing agencies with the ability to close Flagstar loans electronically. Jason Nadeau Appointed President of Stewart Lender Services, Inc. In his new role, Nadeau will be responsible for leading and developing the comprehensive Stewart national Lender business strategy. TSS Software Corporation (TSS) has released TitleExpress Version 6.00H, refining its flagship software system. The new TitleExpress boasts an updated interface which will make the program even easier to navigate and more visually appealing. Governor Arnold Schwarzenegger signed into law Senate Bill 133 (Aanestad). SB 133 which was sponsored by the California Land Title Association (CLTA). The bill provides the Department of Insurance with significant new power to regulate marketing practices in the title insurance industry. The dividend is payable Oct. 15 to shareholders of record Oct. 1. Landon V. Taylor, president of the Strategic Markets Division, will leave the company at the end of September and will be replaced by Maria Valentin. The change became effective on September 15, 2008. First American has paid a cash dividend for each of the last 99 years. The terminations will take effect December 31, 2008 or as of such dates as are permitted by existing contractual arrangements. Following their termination, all excess of loss reinsurance contracts will run off pursuant to their terms. Fitch Assigns 'BBB+' IDR to Stewart Information Service Corp.
Fitch Ratings has assigned a 'BBB+' Issuer Default Rating (IDR) to Stewart Information Services Corp. (SISCO) the publicly traded parent of Stewart Title Guaranty Company (STG) and its wholly owned subsidiary Stewart Title Insurance Company (STIC). Fitch Ratings has affirmed the 'A-' insurer financial strength (IFS) rating of Connecticut Attorneys Title Insurance Company (CATIC) and revised the Rating Outlook to Negative from Stable. First American Title Insurance Company plans to establish direct operations in the state of Colorado. Lynn A. Donner, who previously served as regional vice president for Nevada, will relocate to Colorado to oversee all of First American's operations in that state. iRise offers a collaborative software platform that enables businesses to quickly visualize and "test market" applications before a single line of code is written. The white paper details key fundamental concepts of industry data management, a key component in the mortgage banking process. LandAmerica Financial Group, Inc. plans to unify its Arizona escrow operations, presently operating through Transnation Title Insurance Company, Capital Title Agency, Inc. and Lawyers Title of Arizona, Inc., will do business under the LandAmerica brand name as LandAmerica Title Agency. Fitch Ratings has downgraded the Insurer Financial Strength (IFS) ratings of LandAmerica Financial Group's (LFG) insurance subsidiaries to 'BBB+' from 'A-'. Fitch also downgraded LFG's Issuer Default Rating (IDR) to 'BBB-' from 'BBB' and revised the Rating Outlook on all ratings to Negative from Stable. Fitch Ratings has downgraded the insurer financial strength (IFS) ratings of Stewart Title Guaranty Company (STG) and its wholly owned subsidiary Stewart Title Insurance Company (STIC), collectively referred to as Stewart to 'A' from 'A+'. The Rating Outlook for both companies is Stable. Fitch Ratings has placed the following 'BBB+' Issuer Default Rating (IDR) of Fidelity National Financial, Inc. (NYSE: FNF - News) on Rating Watch Negative, along with the 'A' insurer financial strength (IFS) ratings of its nine title insurance underwriting subsidiaries. With 11 locations, Executive Title Insurance Services, Inc. has served the title industry needs of southwest Florida for the past 27 years. The principles are part of a national consumer initiative launched by the ALTA to ensure the ethical and fair treatment of consumers along with the education of consumers and federal and state legislators to better understand the title industry. Independence-based Resource Title Agency, Inc., one of the Midwest’s leading independent real estate services firms, has brought aboard Sheila Pinkerton. Pinkerton joins the agency in the role of marketing representative. She will focus on developing new retail business for the company, primarily in Medina and Cuyahoga counties. Albany-based New York Bankers Title Agency East LLC and Binghamton-based NBT Settlement Services LLC formed a strategic alliance and merged July 31, the companies announced. For the last 24 years the name Jay Turner, has been synonymous with closing real estate transactions through Ticor Title from 1984 to 1991, and then Chicago Title from 1991 to 2008. J. Allen Fine, Chairman of the Board of Investors Title Company announced that the Company's Board of Directors has declared a cash dividend of $.07 per share. The impact of this title policy claim update resulted in a pretax charge of $3.0 million ($2.0 million after taxes, or $0.11 per share) to the second quarter and six months ended June 30, 2008. The Company reported a net loss of $273,934 compared with net income of $1,154,149 for the same three-month period in 2007. Net loss per diluted share equaled $0.11 compared with net income per diluted share of $0.46 in the same period last year. The conversion from Version 2.x to Version 3.0 will create a common architecture and logical model for the real estate finance industry and will promote a centralized view of the mortgage transaction process while providing explicit context and definitions. Version 3.0 will encourage broader adoption of MISMO standards across the industry. The acquired operations, which include Security Title, First American Heritage Title, Title America and United Title, generated approximately a 30% market share during 2007 and have a history in the state of Colorado dating back to the 1940's. The acquisition also includes the Impact title operating system that these operations utilize. A new solution helping mortgage lenders and servicers identify loans with existing or potential problems, and providing specific actions to be taken to minimize losses in their loan portfolios. The database includes digitally converted and normalized parcel information and points for more than 2,100 counties and townships in the United States. The Board declares a quarterly dividend of $.05 per share. The issuance of the patent—originally drafted nearly a decade ago—is particularly timely given growing concern in the financial and institutional sectors about rising foreclosures and related credit problems. Pendleton DataFarm LLC, parent company of Document Retrieval Network and DRN Title Search, has been named by the Kentucky Cabinet for Economic Development as an inaugural inductee in its Pacesetter Business Recognition Program. Pendleton DataFarm was one of 12 companies identified in this initiative, which recognizes small businesses that have made a significant impact in their community and in the region. Stewart Information Services Corporation (NYSE: STC) today reported the results of its operations for the second quarter and six months ended June 30, 2008. The title insurance firm – owned by Mercury Companies of Colorado – had 22 offices and about 190 employees. Standard & Poor's Ratings Services said it placed its 'A-' counterparty credit and financial strength ratings on LandAmerica Financial Group Inc.'s (LFG) title insurance operations on negative watch, following the announcement of unfavourable operating results. Fidelity NationalFinancial, Inc. has reported operating results for the three-month and six-month periods ended June 30, 2008. The Board of Directors also declared a quarterly cash dividend of $0.30 per share. Fidelity National Financial, Inc. Announces Opening of Fidelity National Title de Mexico S.A. de C.V.
Juan Pablo Arroyuelo has been appointed Vice President and General Manager and Gerardo Martinez has been named Vice President and Chief Financial Officer. Both Arroyuelo and Martinez are recognized experts on Mexican title insurance. Lender Processing Services, Inc. announced that its SoftPro division has won a Stevie Award for Best Customer Service Organization at the 2008 American Business Awards. This marks the second year in a row that SoftPro has been awarded a Stevie for their focus and dedication to customer service. SoftPro was also named a finalist in several other categories, including Best New Product and Best Product Development Team. Dedicated to the settlement services industry, TSS Software celebrates their 15-year anniversary this month as they closed their 60th consecutive profitable quarter, since their inception in 1993. The solution examines credit reports to detect the probability that a borrower’s credit score is being artificially manipulated based on a different individual’s payment history. This new document management system is an all-in-one platform supporting recordation of real estate, court, vital records and miscellaneous documents. Hartung is responsible for developing relationships among key client groups, including title agency partners, builders, lenders and Realtors® in Napa County. The transaction provided title insurance to facilitate the purchase of Winmarkt Magazine by the IGD Group — one of the primary players in the Italian retail real estate market — for €182.50 million. The new business model is expected to increase the convenience and efficiency of real estate closings in Colorado by decreasing the number of bricks and mortar locations in the state while expanding the number of customer-facing specialists. The New England Land Title Association, representing title companies in Connecticut, Maine, Massachusetts, New Hampshire, Rhode Island and Vermont, announced its official adoption of the ALTA Principles of Fair Conduct. These six states join twenty-nine other states in adopting the Principles, totaling over half of the land in the continental US. Florida Land Title Association has adopted the Principles of Fair Conduct. Florida joins thirty-four other states, totaling over half of the land in the continental United States, who approved the principles including: Alabama, Alaska, Arkansas, California, Colorado, Connecticut, Georgia, Illinois, Indiana, Iowa, Kansas, Louisiana, Maine, Maryland, Massachusetts, Michigan, Minnesota, Mississippi, Missouri, Nebraska, New Hampshire, New Jersey, New York, North Carolina, Ohio, Oklahoma, Pennsylvania, Rhode Island, South Dakota, Tennessee, Texas, Vermont, Virginia, and Washington State. 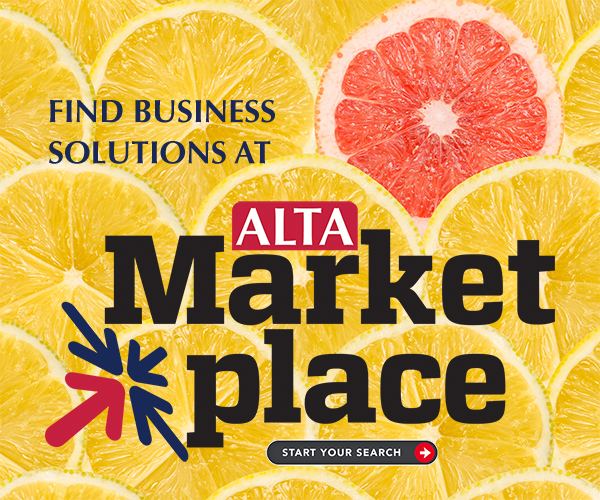 The Principles of Fair Conduct are a part of ALTA's Title Industry Consumer Initiative - a multi-faceted strategy for improving oversight of the industry and educating and protecting consumers. These state affiliates will inform their members through newsletters and meetings to help spread the word about the Initiative and Principles of Fair Conduct and encourage members to adopt them in their own title companies. Stewart National Title Service (NTS) is opening its twentieth commercial location, located in Baltimore, Maryland, and serving the greater Washington, D.C., area. Joe Casa's career in the title insurance industry spanned more than three decades, including positions with Record Data Companies, TRW Inc., and Old Republic National Title Holding Co. He founded October Research and its first publication, The Title Report, in 1999. He passed away Saturday in the comfort of his home, surrounded by his family. LandAmerica Financial Group, Inc. plans to merge its Transnation Title Insurance Company subsidiary into its Lawyers Title Insurance Corporation subsidiary. A shareholder class action lawsuit has been filed in the United States District Court for the Southern District of New York against First American Corporation ("First American" or the "Company") (NYSE:FAF) and certain of its officers and directors on behalf of purchasers of First American common stock, who purchased between April 26, 2006 and November 6, 2007, inclusive (the "Class Period"). The paper outlines common risks and mitigation approaches, specifically for small to mid-sized lenders, to help them secure sensitive and confidential customer information while adhering to an ever-increasing number of related statutes and regulations. A.M. Best Co. has affirmed the financial strength rating (FSR) of A+ (Superior) and issuer credit ratings (ICR) of “aa-” of Old Republic Title Insurance Group and its members (Minneapolis, MN). The outlook has been revised to negative from stable. First American Title Insurance Company announced that C. Scott Logan has joined the company as Georgia State Counsel. In this position he will oversee underwriting for transactions throughout the state. First eRecording for All American Title Accepted in Hillsborough County, Fl. Hillsborough County’s official recorder, Pat Frank, accepted the first electronic recording from All American Title. Ms. Frank is Hillsborough county clerk of the Circuit Court, and is both clerk to the courts and comptroller. As the official recorder, she is the custodian of all official records, including deeds, mortgages and liens. Independence-based Resource Title Agency, Inc., has added mortgage industry veteran Kristin Mason. Mason will serve as the agency’s Manager of Retail Marketing and Continuing Education. She will oversee the construction of continuing education seminars and materials for Realtors, real estate agents and mortgage professionals. In an important special announcement during Conference 2008, the NNA in partnership with the Science Application International Corporation (SAIC) unveiled a unique partnership to offer the most secure and reliable Electronic Notary Seal (ENS™) for the nation’s 4.8 million Notaries. This revolutionary business model will increase the number of LandAmerica representatives available to provide face-to-face service to customers while increasing the convenience and efficiency of real estate closings without the limitations of bricks-and-mortar locations. In a move to help the mortgage industry process loans faster and enhance customer service, Xerox Mortgage Services has added e-signature – a secure and convenient way to complete mortgage loans without having to sign hardcopy documents. A.M. Best Co. has affirmed the financial strength rating of A- (Excellent) and assigned an issuer credit rating (ICR) of “a-” to Attorneys’ Title Insurance Fund Inc -- Outlook stable. TSS Software Corporation (TSS) announced their TitleExpress system has been selected by Ohio-based Benchmark Escrow and Title Agency. Stewart Real Estate Information (REI) Group, Inc., has formed Stewart Global Solutions, for the purpose of pursuing international land administration and modernization projects in emerging markets. Continuing its expansion into the commercial title business, Huntington, N.Y.-based Advantage Title Agency Inc. has co-insured title for a $242 million construction loan on a downtown Washington, D.C. office project. First Title Insurance has provided title insurance to developer and operator of warehouses in Central and Eastern Europe Pinnacle Real Estate. Under the agreement, LSSI and Loan-Score plan to couple synergistic products with one another to offer clients increased functionality by way of solution integration. UnitedHealth Group also purchased pro rata ownership shares from Thomas H. Lee Partners, Evercore Partners and David A. North, the other existing minority shareholders of Sedgwick CMS. The ratings reflect Fidelity’s favorable capitalization, adequate operating results and strong market profile as one of the largest title insurance groups in the United States, along with moderate financial leverage at the holding company. Version 1.2 augments three commercial standards that were released in February by the Environmental and PCA Reports Workgroup which include the Property Condition Assessment (PCA) Synopsis, Seismic Synopsis and revised Work Order Request and Response (WORR). Encomia eDisclosures enables brokers and lenders to create an electronic loan document package in their loan origination system (LOS) and post it online for signing in SMART Doc format, saving time and money by eliminating considerable amounts of paper and overnight shipping costs. As MISMO continues development of its Version 3.0 XML Schema architecture and unified reference model, a critical task for its Workgroups is to reconcile various definitions of the data elements that exist in the Logical Data Dictionary (LDD) for Version 2.x. Despite safeguards in the review process, WGs have sometimes inadvertently created new data elements with the same meaning and purpose. In Version 3 the unified reference model will prevent this issue from developing in future transactions. The Iowa Land Title Association member attendees voted unanimously to adopt the ALTA Principals of Fair Conduct at their Annual Convention Business Meeting on May 5, 2008. Iowa joins twenty-seven other states, totaling over half of the land in the continental United States, who approved the principles including: Alabama, Alaska, Arkansas, California, Colorado, Georgia, Illinois, Indiana, Kansas, Louisiana, Maryland, Michigan, Minnesota, Mississippi, Missouri, Nebraska, New Jersey, New York, North Carolina, Ohio, Oklahoma, Pennsylvania, South Dakota, Tennessee, Texas, Virginia, and Washington State. The First American Corporation (NYSE: FAF), America’s largest provider of business information, today announced that its board of directors has declared a regular quarterly cash dividend of 22 cents per common share. Alpha-Omega Title Insurance Co. celebrated its 25th anniversary this month. Mayor Pam Iorio spoke at the May 14 celebration, complimenting the company on its community service and perseverance in a difficult real estate market. This latest dividend increase marks the twenty-seventh consecutive year that Old Republic has boosted its cash dividend rate. CLTA Adopts the ALTA® "Principles of Fair Conduct"
LandAmerica Financial Group, Inc. Residential Services and Lender Services are joining forces to create a single powerful Residential Services customer channel effective June 30, 2008. LandAmerica Announces the Opening of the LandAmerica Title Insurance Company of Mexico, S.A.
Kansas Secured Title, owned by Topeka-based Title Midwest Inc., has operated an office in Oskaloosa since acquiring Jefferson County Title in 2001. In his new role, Stokes will oversee sales in Region E, encompassing California, Arizona, Hawaii, Guan and Saipan. Stokes reports directly to Allan Wasserman, executive vice president, region manager. E-Title is managed by Stewart Lender Services (SLS) and is a nationwide provider of mortgage origination and post closing services fulfilling the needs of residential lenders throughout the loan origination, closing, funding and servicing processes. LandAmerica Financial Group, Inc. is making its Fraud Detection Program, which helps the company's Agent Partners safeguard their business revenues and avoid potentially costly fraud claims litigation, available nationally for the first time. Used in conjunction with the determination of property equity and understanding the borrower's economic situation and intent, the SON Score helps servicers and investors ascertain the optimal resolution for servicing subordinate lien assets. LandAmerica's Fraud Protection Program is the newest of 30 customized solutions delivered through the LandAmerica AgentXtra(SM) Program. For more than three years, this first-of-its-kind program has helped Agent Partners achieve business expansion, boost efficiency, utilize leading technologies and provide better customer service. Stewart Title Ltd., the underwriter of United Kingdom transactions for Stewart Title Guaranty Company, can provide lenders the cover they need to safeguard their mortgage transactions. In an effort to offset paper consumption, TitleVest is launching Grow Paperless™. The title insurance company has partnered with the Arbor Day Foundation to plant one tree for every order placed by a client who opts to go paperless. FNF reported operating results for the three-month period ended March 31, 2008; and, declares a quarterly cash dividend of $0.30 per share. The dividend will be payable June 30, 2008, to stockholders of record as of June 13, 2008. TSS sees the addition of this state-of-the-art software as an important enhancement to its product and services offerings, which includes the popular TitleExpress title and settlement platform. MISMO has released the MXCompliance Title v2.3.2 Request and Response certification, making it the fifth MISMO MXCompliance certification available for integration in industry-related technology business practices. The First American Corporation NYSE: FAF, America's largest provider of business information, today announced that it has elected to its board of directors five individuals recommended by Highfields Capital Management LP, the company's largest unaffiliated shareholder. The First American Corporation announced the retirement of Donald P. Kennedy and Gary J. Beban from its board of directors. Officials at Attorneys Title announce the appointments of Michelle Mullins and Janie Ensley as marketing representatives for the company’s new consolidated Western district office. TSS Software Corporation (TSS) will be hosting their 2008 User Seminar May 4th-6th at the Loews Annapolis Hotel in Annapolis, Maryland. Attendees include title company owners from around the country, in addition to their managers, processors, settlement officers, and information technology staff who work with the TSS software product suite. Premier Title of Oregon comes to Lincoln County offering title and escrow services to the community through two branches. Buy a home in your PJs? Maybe not today, but e-loan technology is evolving into a safe, efficient option. At the MBA National Technology in Mortgage Banking conference that it is building an interface with Associated Software Consultants (ASC) s PowerLender loan origination system to offer more document flexibility to its lender clients. Within both the industry and law enforcement, there is increasing concern that mortgage fraud perpetrated against residential mortgage bankers has grown considerably over the past several years with significant consequences to lenders as well as to taxpayers, consumers and communities. MISMO and the Property Records Industry Association have published the IPR (Intellectual Property Rights) Disclosure Draft of a Business Requirements Document which addresses and describes the business requirements for the eRecording of electronic recordable instruments in common electronic document formats such as MISMO SMART Doc®, eSigned PDF and Adobe Intelligent Document Format, and Microsoft® Word with embedded-XML. MISMO, the not-for-profit data standards subsidiary of the Mortgage Bankers Association (MBA), and Fannie Mae announced that Fannie Mae has contributed a new patent to MISMO under the MISMO Intellectual Property Rights Policy so that it may be used by the real estate finance industry on a royalty-free basis. DocuTech and South Miami, Fla.-based Gallagher Financial Systems, Inc. (GFS), announced at the Mortgage Banker’s Association National Technology in Mortgage Banking Conference & Expo that the companies have signed a contract which will integrate DocuTech’s Web-based document solution, ConformX™ with GFS’s NetOxygen loan origination software (LOS). Encomia’s eDisclosures enables brokers and lenders to create an electronic loan document package in their loan origination system (LOS) and post it online for signing in SMART Doc format, saving time and money by eliminating considerable amounts of paper and overnight shipping costs. LandAmerica’s enterprise wide title and escrow system. Built on Microsoft’s .NET platform, SoftPro Select is a technologically advanced real estate solution that can easily scale to serve LandAmerica’s more than 8,000 users in more than 800 direct offices nationwide. Pam K. Saylors will be promoted to President - Commercial Services, effective April 2, 2008. She is based in Richmond, Virginia. Technology, which converts the traditional closing table from pen and paper to digital documents and touch screens. The Touch-to-Close™ solution will begin deploying through Stewart’s extensive network of offices and agencies this month. The goal of the conversion from Version 2.0 to Version 3.0 is to build a cohesive foundation that supports the widest array of transactions possible and drives broad adoption of MISMO standards. This includes the development of a common architecture and logical model promoting a centralized view of the mortgage transaction and providing explicit contexts and definitions for usages and terms. Disclosure Manager is unique in that the solution allows lenders to automate the entire initial loan disclosure process, from document creation to the secure electronic delivery of documents to borrowers for eConsent or eSignature. Upgrade helps businesses automate document capturing, printing and converting. The Office of Federal Housing Enterprise Oversight (OFHEO) today released the maximum conforming loan limits that will be in effect through year-end as a result of The Economic Stimulus Act of 2008. That legislation permits Fannie Mae and Freddie Mac to raise their conforming loan limits in certain high-cost areas. The new jumbo limits are a function of median home prices as estimated by the U.S. Department of Housing and Urban Development (HUD). The Company's Board of Directors has declared a cash dividend of $.07 per share. Kathy Jannen will become Vice President/ Plant Manger for the Title-Write Solutions' operation in Deerfield Beach, Florida. Recognized on the Fortune's List of America's Most Admired Companies for the second year in a roll. The sale was effective Feb. 29 and was announced by Mark Bilbrey, Sr. Vice President -- Chief Operating Officer of the company's Central Title Group. Total revenues for the fourth quarter of 2007 were $1.9 billion, a decrease of 14 percent relative to the fourth quarter of 2006. Net loss was $67.5 million in the fourth quarter of 2007, compared with net income of $104.0 million in the fourth quarter of 2006. Loss per diluted share was 74 cents in the fourth quarter of 2007, versus earnings per share of $1.06 in the fourth quarter of the prior year. XSell®, a provider of enterprise-wide, customer-centric sales, marketing and service platforms and SigniaDocs, Inc., which offers a full eMortgage solution for electronic signature, SMARTDocs® and eDocument management, announced at the 2008 Mortgage Bankers Association’s (MBA’s) National Mortgage Servicing Conference & Expo, an alliance to offer quick loan modification services to mortgage lenders. Board also approves 6.3% increase starting in second quarter. LandAmerica researched more than 40 alternatives before settling on SoftPro Select as the foundation for its single title and escrow system. Fiserv, Inc. announced that Pentagon Federal Credit Union, with 764,000 members and assets in excess of $11.2 billion making it one of the largest credit unions in the United States, has chosen the Nautilus Enterprise Content Management (ECM) system to image-enable its mortgage processing functions. Covering all states that assess personal property tax, plus Washington, D.C., the database includes lowest-level asset accumulation, taxing authority and whether intangible assets are taxable. Designed for use by utility companies, public entities and a wide range of business enterprises, the database can support both regulatory compliance and operating efficiency. FNF subsidiary offers warranted collateral valuations and automated valuation model (AVM) reports to protect against overstated valuations resulting in losses. These products are designed to reduce the buy-back risk between originators and investors due to inaccurate valuations by protecting the Lender from a financial loss resulting from default, foreclosure or rejection by the secondary market. The Uniform Act applies to transactions involving business, commercial and government affairs. Each transaction must culminate in an electronic record and an electronic signature. I Meant to Do That! The Uniform law states that to create an electronic contract both parties must provide some form of intent to conduct transactions electronically. Without this intent, the Uniform Act has no applicability. However, there doesn't have to be a formal agreement to conduct a transaction electronically -- only circumstances indicating the parties' intention to do so. In many cases, the fact that both you and the seller conducted all your negotiations by email is evidence of intent to conduct the transaction electronically. Title Data announced today that it has lowered its title plant subscription fees for new title companies entering the Harris, Brazoria, Fort Bend and Montgomery County, Texas title insurance markets. Harris County, Texas is the third most populous county in the United States and contains within its boundaries the City of Houston; Brazoria, Fort Bend and Montgomery counties are the larger suburban counties adjacent to Harris County, and are perennially listed among the fastest growing counties in the country. Mr. Woodcraft is responsible for developing and maintaining relationships with lenders, solicitors and HIP providers to promote the benefits of a Stewart Title insurance policy in the conveyancing transaction. He will also work to enhance Stewart’s profile throughout the UK. Fitch's rating action is based on further analysis of the company's pre-announced fourth quarter results, in which the company noted it would generate an after-tax loss not to exceed $50 million, and that the title insurance segment's results would be negatively affected by further adverse reserve development. First American Global Offshore Services and Graystone Solutions, Inc., have formed a strategic partnership to offer First American's MortgageBPO(SM) solutions via Graystone's custom MortgageServ-based solutions. With some sectors of bank lending on the hot seat it may seem counterintuitive to go with a lending operations upgrade, but Michigan-based Flagstar Bank bowed to a longer term trend than current market dynamics: the ongoing need to boost operational efficiency and take out the paper. The $16.2-billion-asset federal savings bank is now managing its eMortgage signing, closing, and post-closing processes using the Fiserv eLending platform. Charles Newcomb has joined Home Retention Services Inc. as chief operating officer, reporting to Don O'Neill, president and chief executive officer of Stewart Lender Services. Ohio Title Company, Grandview Title (www.GrandviewTitle.com) a Cincinnati, Ohio Real Estate Title Insurance Company which provides real estate closing and title insurance services for customers and clients in Ohio and Kentucky announced today that it has created a Customer Bill of Rights for all of its real estate title services. -Despite the ongoing crisis in the real estate industry, a new title insurance and closing services company has announced its opening in New York. MyClosingSPACE.com is making its debut in New York, offering residents across the state the ability – for the first time ever - to purchase title insurance and mortgage closing services directly online. Is your agreement through e-mail legally binding? Find out what kind of online communication constitutes a legal contract. By Laura Plimpton | January 29, 2008 The Uniform Act applies to transactions involving business, commercial and government affairs. Each transaction must culminate in an electronic record and an electronic signature. Lake County, Illinois is now electronically recording (eRecording) land record documents such as satisfactions, mortgages, and reconveyances submitted by title companies, banks, and attorneys to the Recorder’s Office through the Simplifile eRecording Service. RE/MAX Alliance Group will offer Insurance, Mortgage and Title services for residential and commercial properties. The company will have 12 offices servicing Manatee, Sarasota and Charlotte counties. First American Natural Hazard Disclosures (FANHD) has launched the FANHD California Property Tax Disclosure Report(TM), creating a cost-effective choice for real estate professionals and their clients. Integrated Mortgage Solutions (IMS), a collateral protection resource for the mortgage servicing industry, announced at the 11th Annual Mortgage Technology Conference presented by SourceMedia the addition of Kathy W. Sutton as risk and compliance officer. tewart Title of Colorado Inc., Vail Division completed the first electronic closing in the Rocky Mountains via eClosingRoom™, Stewart Title’s electronic closing platform. Working to provide their mutual customers with industry-leading eRecording services, Utah-based Simplifile and Minnesota-based TriMin Government Solutions have formed a strategic alliance for the purpose of integrating and cooperatively marketing Simplifile eRecording Services and TriMin Land Records Suite of products. The transaction will enable Title Source to offer a full complement of title services in the Southern California counties of San Diego, Los Angeles, San Bernardino, Riverside, Orange and Ventura. MISMO extends its thanks to all of you who participated in this year's Governance Committee election process as nominators, nominees, or voters. TLTA is a 2,700 member statewide trade association, founded in 1908, that represents title insurance companies and professionals involved in the efficient transfer of real estate. SLK Global is a customer focused, technology driven market leader in the offshore Business Process Outsourcing services industry, with areas of focus in Banking, Title Insurance and Mortgage Lender Services. Foreclosure.com has selected to use Pictometry image technology on its Web site for pre-foreclosure and foreclosure listings, offering visitors access to high-resolution images of homes and neighborhoods throughout the US. Working to increase productivity and provide industry-leading eRecording services, Simplifile, LC and Texas-based RamQuest Software, Inc. have announced the availability of Simplifile’s eRecording system on Closing Market, RamQuest Software’s digital network. TitleVest, a New York City-based provider of title insurance and related real estate services, announces the opening of its two latest offices: Short Hills, New Jersey; and White Plains, New York. The Arizona Association of Realtors® and Stewart Transaction Solutions have partnered to deploy SureClose, a widely used transaction management system, to more than 5,000 real estate brokerages across the state. PRIA membership and board approved a “best practices” White Paper produced by the Archival, Backup and Disaster Recovery Committee at the organization’s recent Annual Conference. The document, “Recording Electronic Images on Roll Microfilm” describes the practices, processes and standards necessary to produce preservation microfilm from digitized documents. Wolters Kluwer Financial Services has signed an agreement to acquire substantially all of the assets of Stewart Lender Services' (Stewart's) flood determination business. Independence was acquired by the North American Title Group, Inc. – a Fortune 150 subsidiary in 2006. Over the coming days, Independence will be proudly changing its name to North American Title Agency to match its parent company. The Florida Electronic Recording Advisory Committee has taken the first step to join 14 other states in implementing a statewide electronic recording plan.